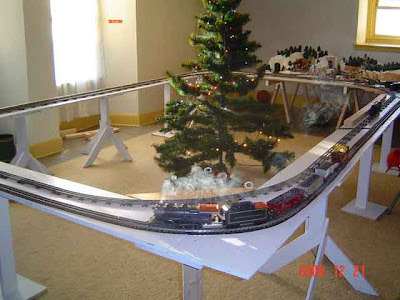 Jan 2007 photo - Showing some of the scenery work on the double-track addition. Bob Bomboy, standing at right, wastes no time getting the kids working. 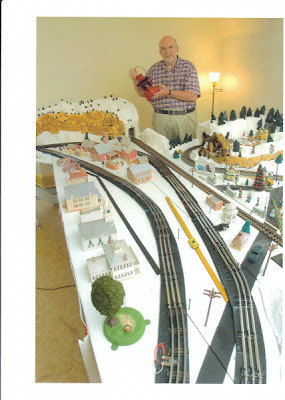 Bob Bomboy -- standing in far right rear, hidden except the top of his head -- has an amazing ability to keep things calm and orderly in a room full of excited kids, plus 3 trains racing around the tracks, plus a bunch of adults all asking questions at once. open it slightly LARGER size. 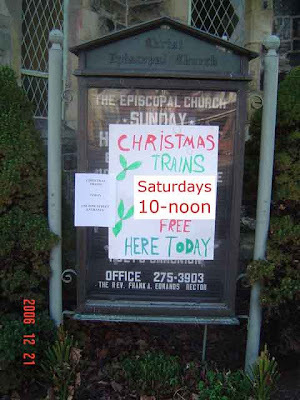 Announcing "Rail Days" at the church. 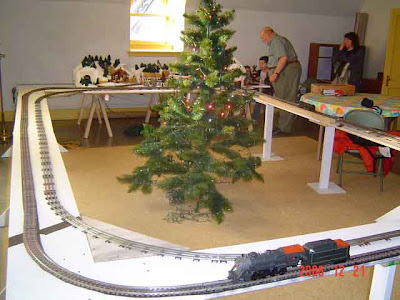 Looking at the rear of the layout. The figure-8 portion in the very rear is the original layout that was build in 2005 (see next photo). 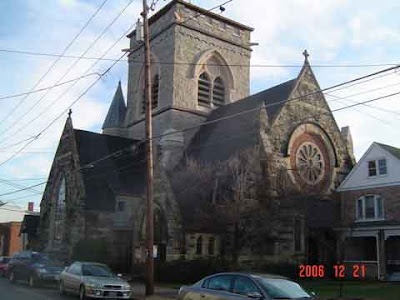 The double-tracked addition in the front has all been built new for 2006. 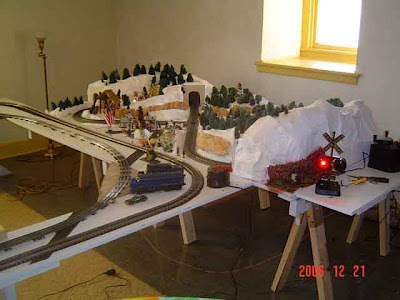 The original Kid's Layout, as constructed in 2005.